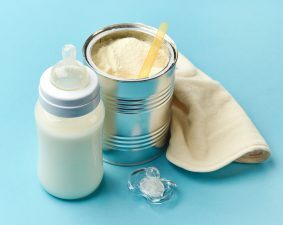 Nestlé has been accused of violating ethical marketing codes and misleading customers about its baby formulas. A report released by the Changing Markets Foundation has found that Nestlé used terminology including “closest to”, “inspired by” and “following the example of” in reference to human breast milk. This is, despite it being prohibited by the World Health Organisation. The study analysed over 70 baby formulas across 40 countries and found that the company often ignored its own nutritional advice. Changing Markets Foundation campaign director Nusa Urbancic told the Guardian: “We have come to understand that companies manipulate consumers’ emotional responses to sell a variety of products, but this behaviour is especially unethical when it comes to the health of vulnerable babies”. “If the science is clear that an ingredient is safe and beneficial for babies then such ingredients should be in all products,” Urbancic said. Nestlé milk formulas in countries such as Hong Kong and Spain were advertised as being “inspired by human milk” despite having full knowledge of the World Health Organisations ban, and said it followed the code “as implemented by national governments”.